Just a thought. 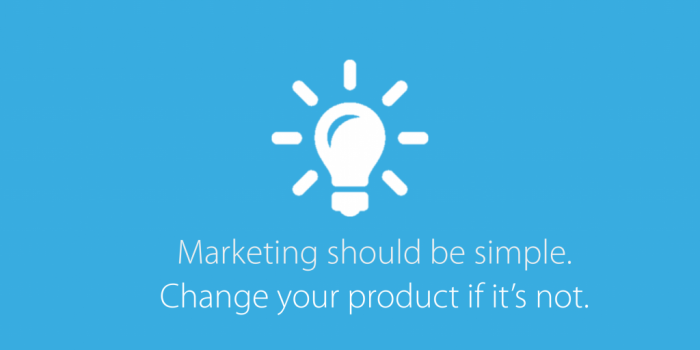 Marketing should be simple. Change your product if it’s not. Don’t seek benefits to promote in your ad. Build a product that F***ing rocks. Build a killer feature. Be the best. Marketing will be simple. No loose claims. Real benefits.